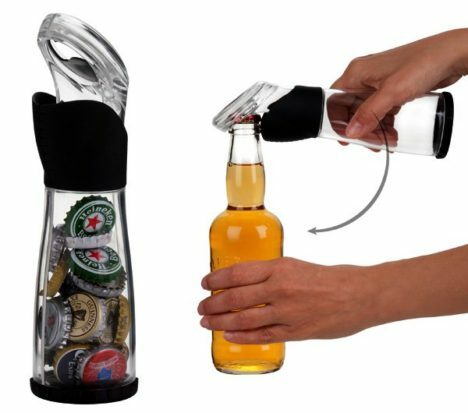 What do you do with the cap after you remove it from your bottle of beer, soda or other beverage? Do you make an effort to find a trash receptacle, or do you simply fling it away from you? Traditional bottle openers make it simple to remove those metal caps but leave you to your own devices to dispose of them properly. 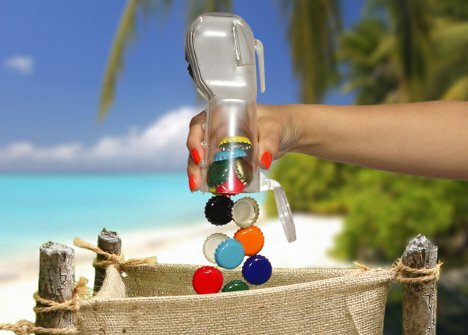 Two new gadgets are aimed at collecting bottle caps and making it much easier to get rid of them in a civilized way. 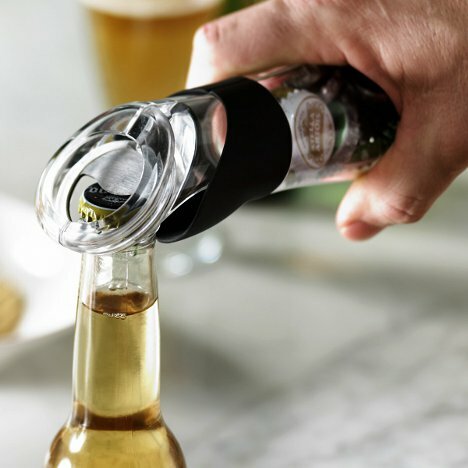 The first is a bottle opener/cap catcher designed by Stefano Di Lollo. Taking on the approximate shape of a bottle itself, this clever device pries off bottle caps and immediately drops them into the waiting chamber. The Cap-Trap is another take on the same concept that adds another level of functionality. It pops off beer bottles and stores them in the attached chamber, but when you’ve filled it to capacity (25 caps), you just have to press a single button to empty the caps out of the bottom. The Cap-Trap also comes with a belt clip, letting you take it with you wherever you go. But if you’re at home, it also sticks to the fridge with a magnet.